It needs to be something without a crazy plot, or insane amount of primary characters. The main function of my brain when I have a cold is to remind the rest of my body, like the lungs, that they are still required to function, so it is really difficult for me to focus on a crazy amount of important details. 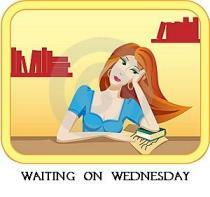 It is not the time to pull out the latest Ken Follett book I have purchased. This book needs to have a happy ending. At certain points of being sick, you often forget when you have ever felt this terrible and achey and just need a reminder that the world is good and eventually you will be rejoining it. For practical reasons the book can’t be too much of a tearjerker. You’re already concentrating most of your efforts on drying you head out, there is no need to make your efforts any more difficult by crying a whole lot. 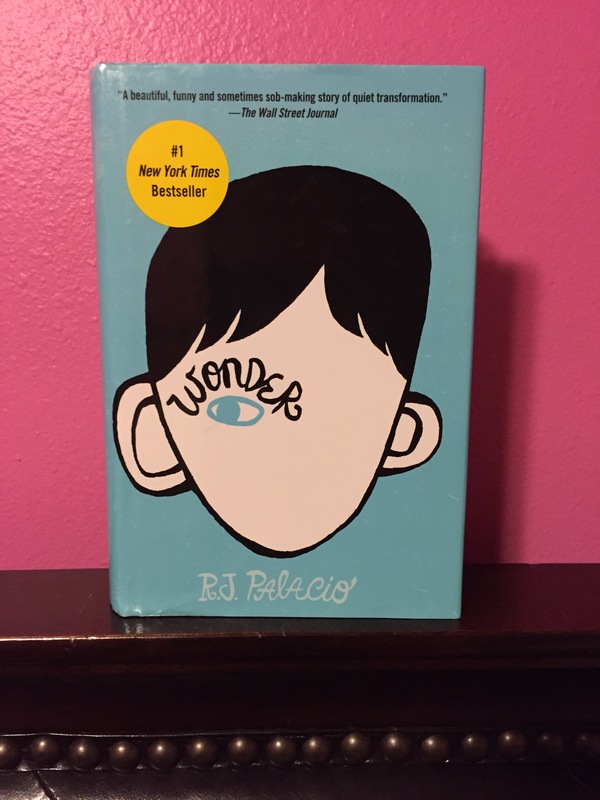 Wonder by R.J. Palacio is a fantastic middle grade book, that really can be read by all ages. While I am a notorious crier among friends and family and did tear up when I read this the first time. Now when I reread it, I just find the message really inspiring and hopeful which is perfect for a sick weekend. 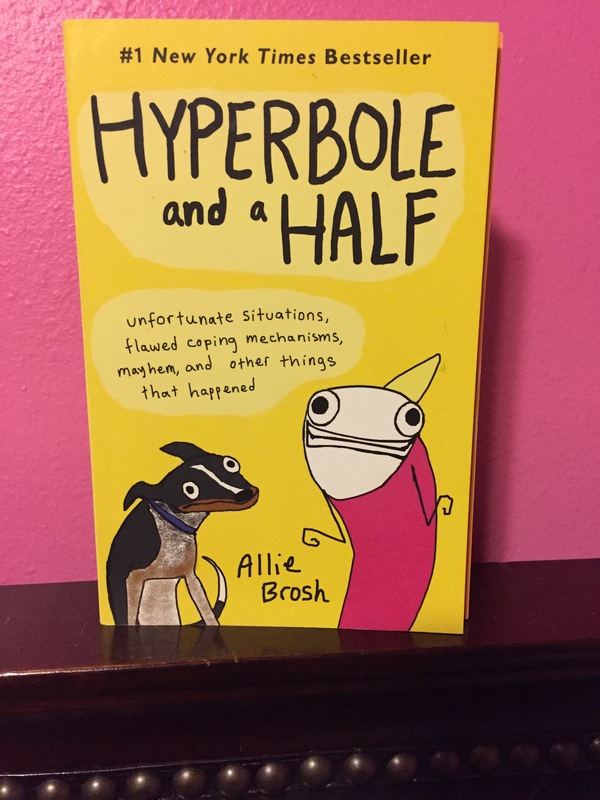 Hyperbole and a Half by Allie Brosh is hilarious. I received so many strange looks because I was incapable of controlling my laughing while reading this memoir. Most people will be able to find something to relate to in this story from their own past and Brosh does a wonderful job of adding humor to embarrassing and bizarre situations. Again just what you need when you are just about to throw in the towel because you have gone through three boxes of tissues and are confident your nose will never be the same again. 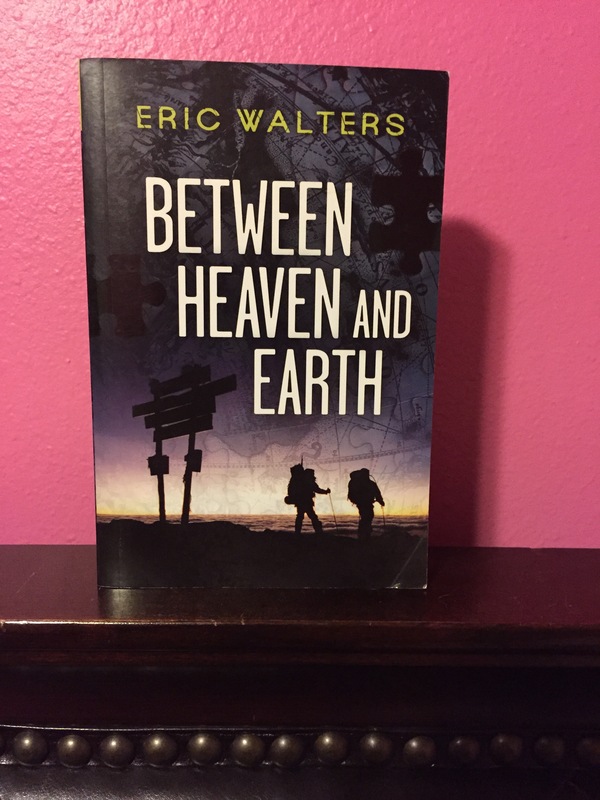 Between Heaven and Earth by Eric Walters is part of “Seven the Series.” This is a series of books that is told from the perspective of seven different boys who are all cousins. 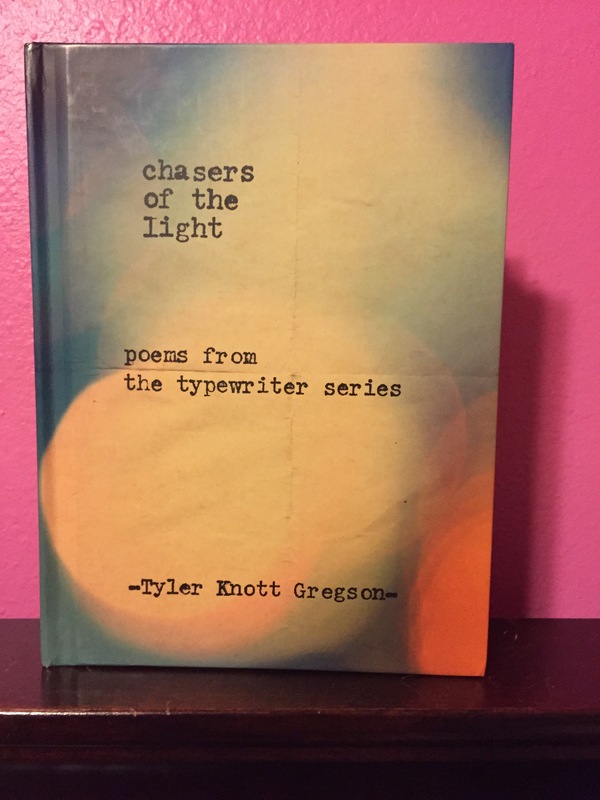 It involves each of them being sent on a mission of sorts by their grandfather after he passes away, exposing them each to a rite of passage that changes their perspectives on their lives. In Between Heaven and Earth DJ is tasked with climbing to the top of Kilimanjaro. This is a really solid and entertaining book that I really enjoyed and could easily be read in a weekend while sitting on the couch downing some chicken noodle soup. Cool fact about the series: each book in the series is written by a different author. 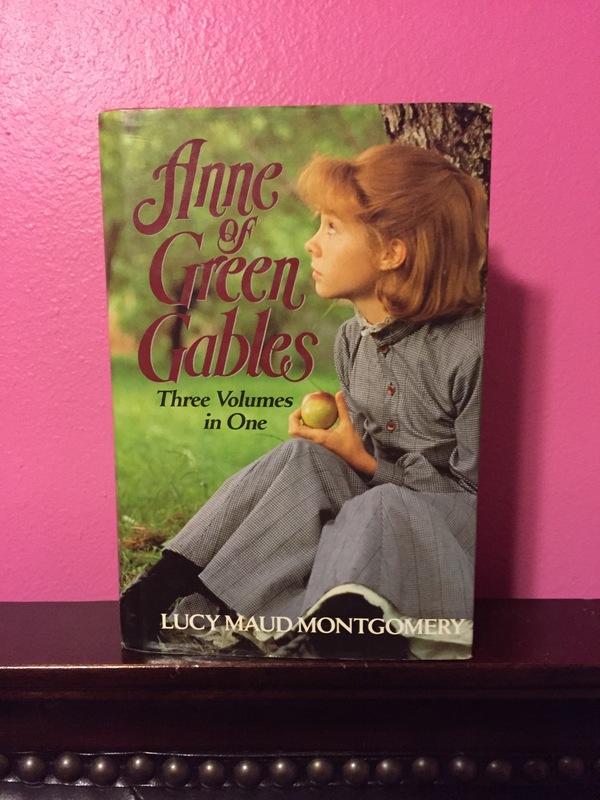 Anne of Green Gables by Lucy Maud Montgomery takes place in such a beautiful location and Nova Scotia is described in such vivid detail that it is my go to after being sick and wanting a reminder of what the outdoors could look like. I hope these recommendations are helpful and you feel better soon! 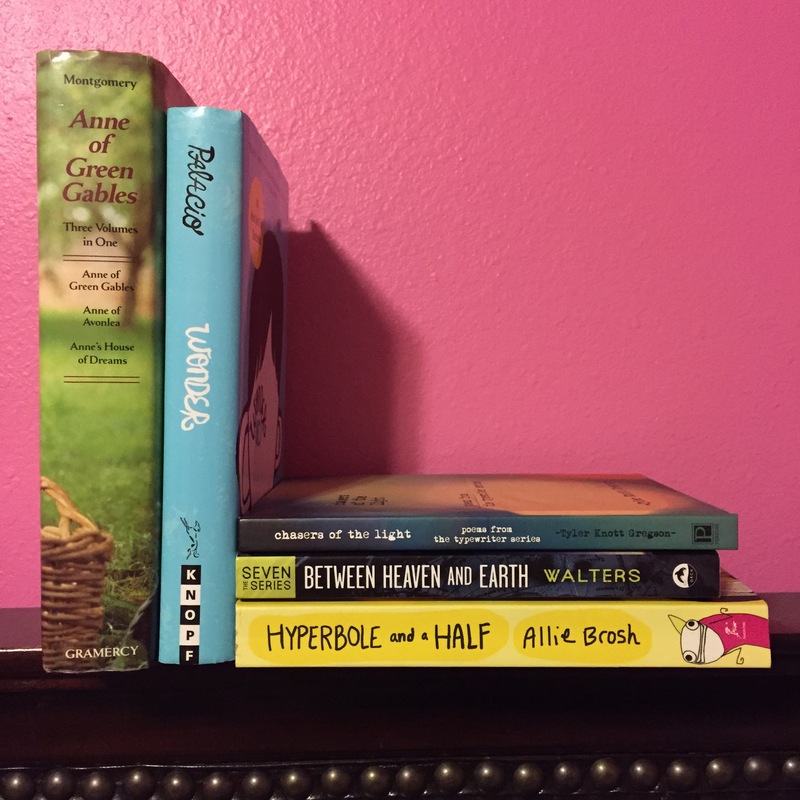 What books do you read when you are sick and tired? 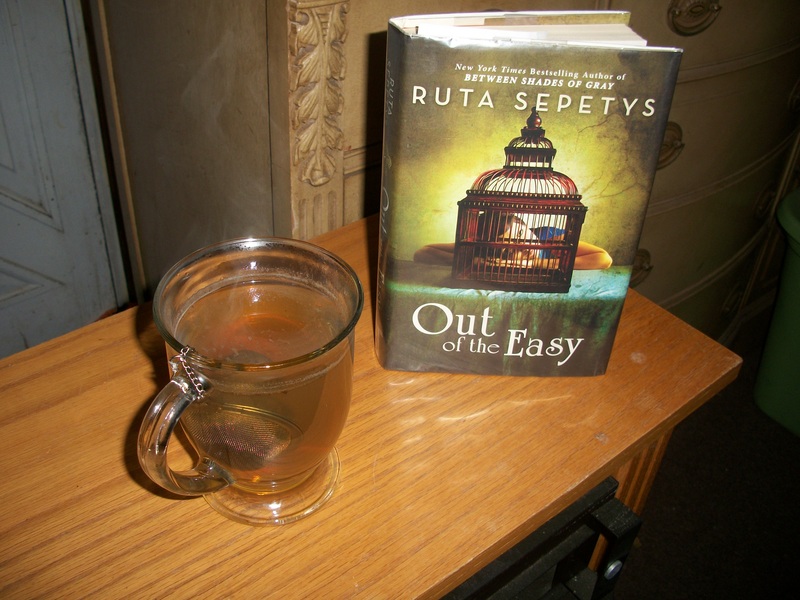 Out of the Easy is a historical fiction that is good for anyone who likes characters with grit and are not your typical underdogs. Taking place in the French Quarter of New Orleans, there are many characters in this story who are less than admirable as well as those who are trying to make the best of very difficult situations. 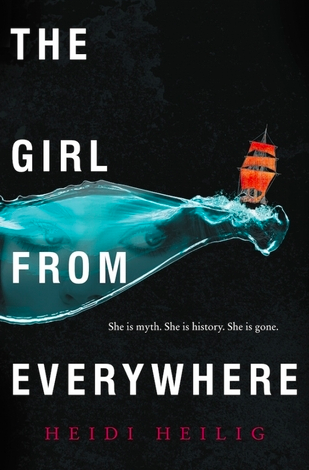 The main character of this story is a 17 year old girl named Josie, who has spent most of her life looking after herself with some help from the owner of a book shop that she works for as well as her mother’s madam, known to everyone as Willie Woodley. After spending her life surrounded by the underbelly of the city, Josie wants nothing more than to leave New Orleans and go to college, and she sets her sights high. Josie is determined to go to college at a prestigious Northeastern college, as far away from her past and her mother as possible. Throughout the novel, Josie faces several setbacks that make this goal seem utterly unattainable. And it is this aspect of the story that I enjoyed so much about this character and this story. As Josie faces each new challenge, it becomes clear that she may never get her happy ending, despite what happens to most main characters in most novels. And regardless of this sense of hopelessness, Josie manages to maintain a rugged determination that has kept her alive since she was a child. I found Josie to be a very interesting character. It would be unrealistic for her to have grown up in this environment and managed to escape the muck completely clean. As a result, there are times in the story when she takes on an “ends justify the means” mentality which sometimes works out for her and other times digs her into a much deeper hole.